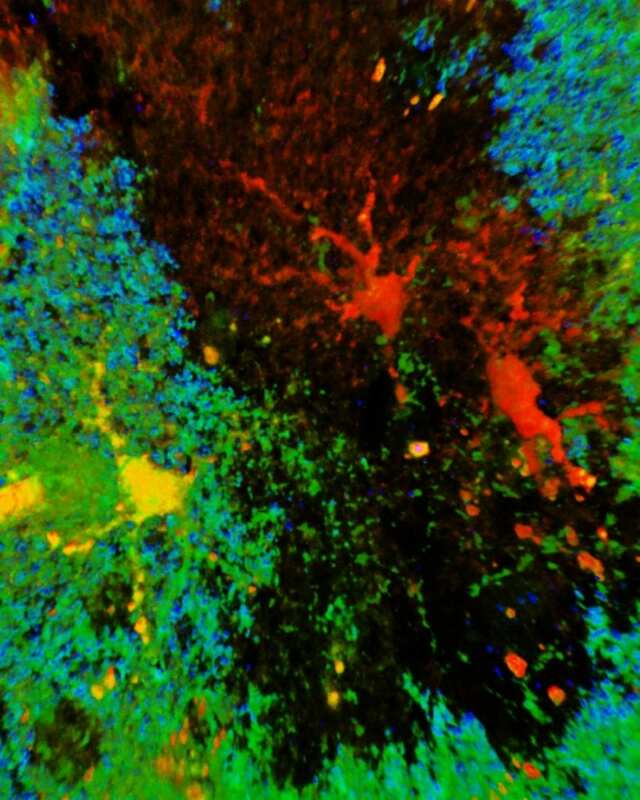 Researchers at the Fralin Biomedical Research Institute at VTC have identified a cellular response in mice to mild traumatic brain injuries that may lead to seizures. Traumatic brain injury is a leading cause of epilepsy, which is characterized as the repeated occurrence of seizures. No treatments currently interrupt the process that the brain undergoes after injury that can eventually lead to the chronic condition of epilepsy. The study, published today in JNeurosci, suggests that the development of epilepsy triggered by mild traumatic brain injury may be related to an atypical response from brain cells known as astrocytes, which change to form scars after a severe brain injury. This process is important to protect uninjured brain areas but comes at a price, because these scars have been associated with epilepsy. The scientists found that astrocytes do not form scars after mild traumatic brain injury, but some astrocytes are altered in a different way almost immediately by these less severe types of injuries. Then, weeks later, the scientists observed spontaneous, recurrent seizures in some mice. Robel, research associate Oleksii Shandra, and colleagues at the Fralin Biomedical Research Institute discovered areas of the brain where astrocytes no longer performed their usual housekeeping work to support normal nerve cell function after mild traumatic brain injury. They first assumed these pockets of nonfunctioning astrocytes were dead, because they no longer made the proteins that normally identify them as astrocytes. Later, Alex Winemiller, a research assistant at the Robel lab and one of the first authors of the study, discovered the cells were alive, but not reacting to injury in their typical manner. Researchers compared data from mice that eventually developed epilepsy with mice that never developed seizures and found a correlation between the loss of function in patches of astrocytes and the development of epilepsy. While it has been known that traumatic brain injury is a leading cause of acquired epilepsy, the precise relationship between such injuries and seizures has been elusive. This new study shows that after a latency period, some of the mice developed spontaneous recurrent seizures reminiscent of post-traumatic epilepsy in human patients with traumatic brain injuries, providing a new experimental model that could contribute to understanding of post-traumatic epilepsy. The research was supported by the National Institute of Neurological Disorders and Stroke at the National Institutes of Health, the Institute for Critical Technology and Applied Science at Virginia Tech, and the Fralin Biomedical Research Institute.